While India-Pakistan shooting matches continue along the clearly-demarcated Line of Control, the last shot was fired 50 years ago on the far less well-defined Line of Actual Control with China. The two major disputed borders India has are with China and Pakistan. With Pakistan, the disputed border falls in Jammu and Kashmir, a legacy of the 1948 war. When India and Pakistan agreed to a ceasefire on January 1, 1949, the two sides agreed to a ceasefire line (CFL). This line was not just marked on a map but was also agreed upon by the two sides on the ground with a joint survey by the two armies. The CFL, with minor variations, was converted into the Line of Control (LoC) during the Simla Agreement, following India’s victory in the 1971 Bangladesh War. Agreed upon both on the ground and on the map, the new nomenclature was meant to show that J&K was a bilateral dispute and some kind of final answer for the Kashmir problem would be found around the LoC. 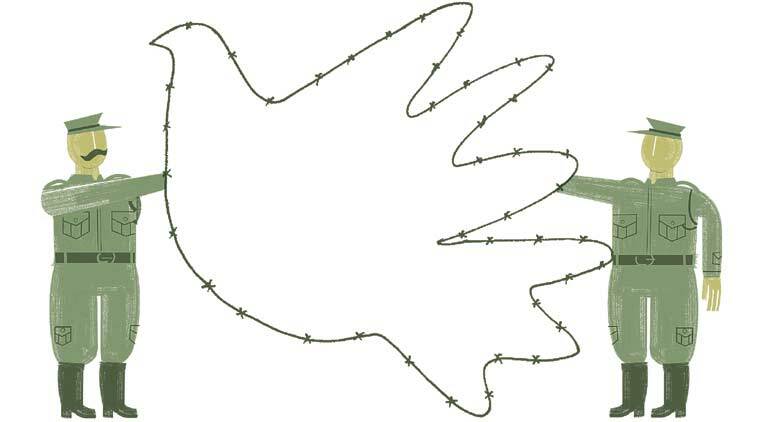 New Delhi should look at the Colombia peace deal as a model for bringing peace to its heartland. 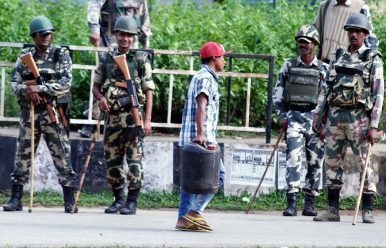 During his May 2017 visit to Naxal (Maoist) hotbed Dantewada in Chhattisgarh, Indian Prime Minister Narendra Modi requested that Naxal rebels lay down their weapons and return to the negotiating table. However, he failed to follow up this request with any governmental commitment and the attacks and ambushes by Naxal rebels continued, causing immense loss of lives and property. In two major attacks in April and March of 2017, Naxal rebels ambushed and killed a total of 36 Central Reserve Police Force (CRPF) personnel and injured many more. The attack of April 2017, which occurred at Sukuma in Chhattisgarh, surpassed the casualty count of the deadly attack of 2013, in which 25 leaders, including a state minister, were killed. US had argued that India had failed to abide by a ruling that it had illegally discriminated against foreign suppliers of solar cells and modules. 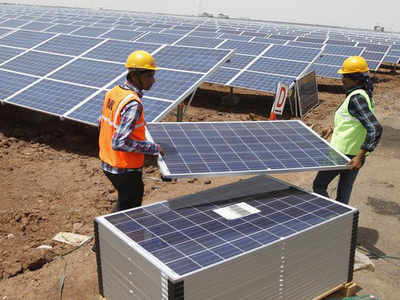 GENEVA: India hit back on Monday at Washington's latest legal assault on its solar power policies+ at the World Trade Organization, rejecting a US legal claim and exploring possible new protection of India's own solar industry. The new year has brought renewed troubles for the already faltering relationship between the United States and Pakistan. On New Year's Day, U.S. President Donald Trump issued a tweet accusing Pakistan of "lies & deceit" despite receiving $33 billion in U.S. aid for its cooperation in the war in Afghanistan. The next day, the White House announced that it would continue to withhold the $255 million worth of aid that had been earmarked for Pakistan in 2016, citing insufficient action against anti-NATO militants. And on Jan. 4, the White House said it would suspend $900 million in security assistance promised in 2017 and place Pakistan on a list of countries violating religious freedom. 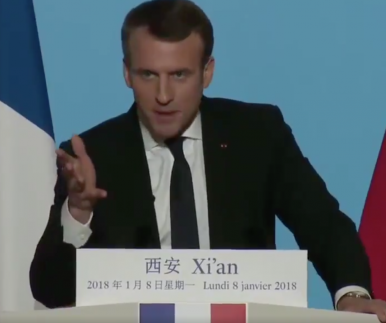 Why Did France's Macron Start His China Trip in Xi’an? French President Emmanuel Macron is ready to embrace China’s Belt and Road Initiative. French President Emmanuel Macron is currently in China for a state visit. It is also his first visit to China since he took office. Interestingly, rather than Beijing, he chose Xi’an — the capital city of Shaanxi Province in central China — as his first destination. During an exclusive interview with China.org.cn ahead of his trip, Macron explained the reasons behind this decision. He said : I’m very aware of the mutual fascination that ties China to Europe, woven along the ancient silk routes that connected Xi’an to the eastern Mediterranean. Our relationship is anchored in time, and in my opinion is based on civilization, in the sense that France and China are two countries with very different cultures but which both have a universal calling. They are two countries that have always been eager, across distances, to meet and recognize each other. It’s for all these reasons that I wanted to start my state visit in Xi’an – it’s a way to experience ancient China. China isn’t abandoning North Korea; rather, it wants to reset the relationship on Beijing’s terms. On January 5, 2018, China’s Ministry of Commerce announced its decision to impose a cap on oil suppliesto North Korea and ban imports of North Korean steel. 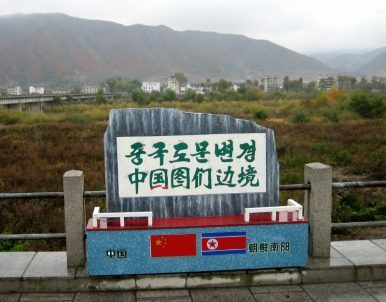 Many U.S. policymakers praised these measures as proof that China is moving toward full compliance with United Nations sanctions against North Korea and taking steps to abandon its long-standing alliance with Pyongyang. While Saudi Arabia's economy is suffering due to low oil prices and discontent at home grows, the kingdom is following the protests in Iran with great interest, hoping national issues will distract from Iran's regional advances. Saudi Arabia is following the unrest in Iran with intense interest, hoping it will force its regional rival to turn inward. The Saudis have little capacity to influence Iranian domestic developments, however, and share many of the same problems as Tehran. The Iranian question is unlikely to help resolve Riyadh’s biggest foreign policy challenge: the expensive quagmire in Yemen that is only getting worse. The United States, its allies, and international organizations are just beginning to come to grips with the civil dimensions of "failed state" wars in Afghanistan, Iraq, Libya, Somalia, the Sudans, Syria, and Yemen. In each case, it is clear that the civil dimension of the war will ultimately be as important as the military one. Any meaningful form of "victory" requires far more than defeating the current extremist threat in military terms, and reaching some temporary compromise between the major factions that divide the country. The current insurgent and other security threats exist largely because of the deep divisions within the state, the past and current failures of the government to deal with such internal divisions, and the chronic failure to meet the economic, security, and social needs of much of the nation's population. Faced with the rapid advance of Pyongyang’s nuclear and missile capabilities, Americans have begun to debate the possibility of a limited, preventive U.S. strike against North Korea—one that could deter the regime from further testing while avoiding a full-blown war. 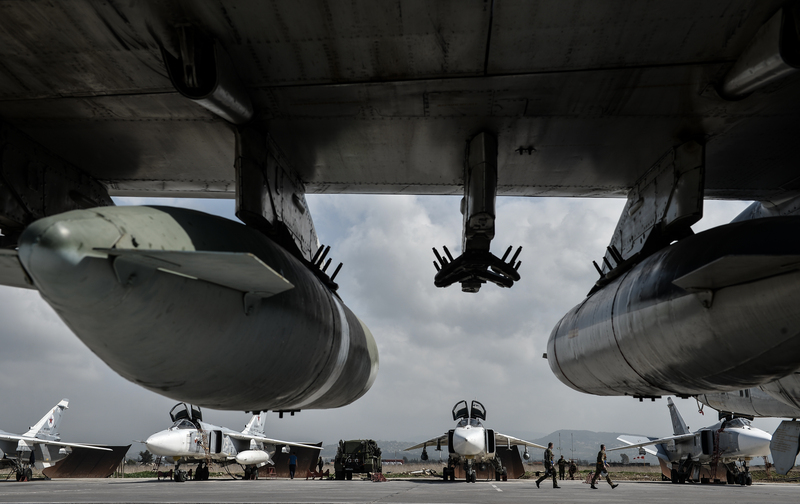 One possibility is a so-called bloody nose strike, which would involve destroying a North Korean missile launch site (bloodying the regime’s nose, as it were) in order to demonstrate the United States’ resolve. Some have gone even further, calling for “air and missile strike[s] against all known DPRK nuclear test facilities and missile launching and support facilities” in the event of a North Korean atmospheric nuclear test over the Pacific Ocean. There are sounds, for those who can hear them, of the preliminary and muffled drumbeats of war. WASHINGTON: The US military is “not prepared” to conduct radio and radar jamming against high-end adversaries, a veteran electronic warfare officer now in Congress says. We have made major progress jamming terrorist communications in Afghanistan and Iraq, says Rep. Don Bacon, a retired one-star general who recently visited both countries. But even against such low-tech foes, he told me, we’re hampered by aging equipment — like the EC-130H Compass Call he flew — and outdated doctrine. Congress wants to ensure that cybersecurity becomes a “baked-in” concept throughout the Department of Defense. The drafting, negotiation, and passage of the National Defense Authorization Act (NDAA) is an annual event that sets the annual budget for the Department of Defense. During this time Congress is able to exert control over the priorities, guiding principles, and issues that will be addressed by the department in the coming year. The 2018 incarnation of the NDAA, which has just been signed into law by the president, includes, nested in Title XVI, Subtitle C, provisions, a requirement that the White House and the DOD meaningfully investigate, consider, and establish national standards and guidance in the cybersecurity and cyber-warfare space. They must explore the development of a national posture for these issues. A look at Lt. Gen. Paul Nakasone’s public statements about artificial intelligence, offense, and defense. The Army general likely to be tapped to head U.S. Cyber Command and the NSA has some big plans for deploying cyber forces and using artificial intelligence in information attacks. Lt. Gen. Paul Nakasone, who currently leads U.S. Army Cyber Command, is expected to nominated in the next few months to replace Adm. Michael Rogers, as first reported by The Cipher Brief (and confirmed by the Washington Post and a Pentagon source of our own). But caution is in order: the rumor mill says several other contenders are in the running, including Army Lt. Gen. William Mayville. Neither Cyber Command nor the Pentagon would comment about the potential nomination. Government and industry could help prevent dangerous botnet attacks simply by using tools that already exist, according to a draft report headed to the White House. Instead, IT officials often ignore those tools because they’re too expensive, too difficult or for other reasons, a recent report from the National Telecommunications and Information Administration said. “The tools, processes and practices required to significantly enhance the resilience of the internet and communications ecosystem are widely available, if imperfect, and are routinely applied in selected market sectors,” the report said. The Marine Corps is looking at ways to insert new technology into its forces earlier in order to prepare for future battles. Key to this effort is experimentation, said Lt. Col. Dan Schmitt, head of the Marine Corps Warfighting Laboratory field testing branch. Last year, the service introduced a new operating concept called, “How an Expeditionary Force Operates in the 21st Century.” The document — which focused on how Marines will fight in 2025 — put an emphasis on the need for the service to return to its seafaring roots, conduct maneuver warfare and fight as a combined arms force. As we speak, U.S. troops are training Afghan armed forces. U.S.forces were also training them last year, and the year before that. In fact, American troops have been training them ever since the Taliban were toppled in 2001, to the tune of $4 billion per year. Other NATO countries have been training Afghan forces, too. But despite these enormous teaching efforts, the Afghans are nowhere near ready to fight on their own. What we need — and not just in Afghanistan — are dedicated Teacher Corps of didactically talented, well-trained troops. WASHINGTON — The U.S. Air Force has been resistant to buy ultrahigh-endurance drones, but a recent $48 million investment in the technology could signify that the service is changing its mind about its requirements, the head of Aurora Flight Sciences said. On Wednesday, Aurora Flight Sciences announced that the Air Force had awarded it a $48 million contract to create a certified version of its Orion medium altitude, long-endurance unmanned aerial system. To find out which types of devices were most in demand this past holiday season, Flurry Analytics has analyzed new device activations during the week leading up to Christmas. According to their findings, Apple was the big winner this holiday season. iPhones and iPads accounted for 44 percent of all new device activations between December 19 and 25, with Samsung coming in second at 26 percent of newly activated devices. Once again, large-screen smartphones, so-called phablets, proved particularly popular under the Christmas tree. They accounted for 53 percent of new device activations this holiday season, up from 37 percent last year and just 27 percent in 2015. Once derided as clunky niche devices, larger phones such as Samsung's Galaxy Note or Apple's iPhone 8 Plus have apparently become the new norm. Let's see if evolution will give us bigger hands to deal with the added screen sizes.